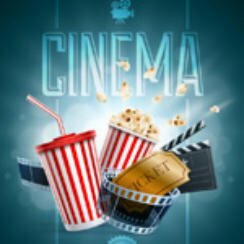 Movie Quiz General Knowledge 1 – Are You Ready??? So as this is week one of the start of a new weekly movie quiz, don’t worry we will go start off with some nice and easy questions. Note they won’t always be this easy so you better start brushing up on your movie triva!!! Question #1: What car maker is most associated with James Bond? Question #2: Who directed the 1999 film Twelve Monkeys? Question #3: What year was the film Gremlins released? Question #4: How many Dirty Harry films were made? Question #5: What is Robert De Niro’s character called in Taxi Driver? Question #6: Which science fiction film is based on book ‘Do Androids Dream of Electric Sheep’? Question #7: What is the name of the girl possessed in the 1973 film The Exorcist? Question #8: Who starred in the 1989 film Field of Dreams? Question #9: What was the name of the computer in the film 2001: A Space Odyssey? Question #10: Who played Indiana Jones’ father in the 1989 film Indiana Jones and the Last Crusade? Question #11: Which actress co-starred with Mel Gibson in the 1997 film Conspiracy Theory? Question #12: In which film did the lead character say “Say hello to my little friend”? Question #13: Who played Catwoman in the 1992 film Batman Returns? Question #14: Which movie famously featured the Staypuft Marshmellow Man? Question #15: Which actor played the role of disc jockey in the film Good Morning Vietnam? Question #16: In Back to the Future what was the magic number the DeLorean car needed to reach to travel through time? Question #17: Who played the president in the 1997 film Air Force One? Question #18: Drew Barrymore, Cameron Diaz and Lucy Liu starred together in which 2000 action film? Question #19: In which movie did Clark Gable say “Frankly, my dear, I don’t give a damn”? Question #20: Who directed the 1993 film True Romance? Check back next week for another movie quiz…. Hammer Films: How many of these 20 titles have you seen?